Rajasthan Congress chief Sachin Pilot led a protest march against the chief minister over the issue and accused her of organising the July 7 rally to hide her four and a half years of misrule. 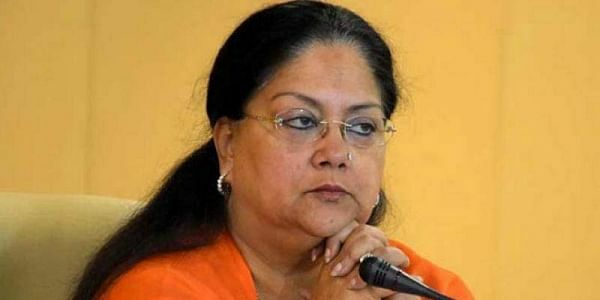 JAIPUR: Alleging that the Vasundhara Raje government misused public funds to organise Prime Minister Narendra Modi's rally in the state, the Congress today sought a probe into it even as the BJP rebuffed the allegation and accused the party of practising the "lowest form of politics". "But people are very well aware of this," he said addressing the party workers at the march which began from the Congress office and concluded at civil lines railway crossing. He alleged that over 150 farmers have committed suicide in the state under BJP rule and every section of the society was suffering but Raje and her ministers were doing 'drama' in name of Jan-Samvad (public dialogue). "Time has come when farmers, labour, students, employees, traders and others should come forward to reply to BJP's atrocities," he said. The party also submitted a memorandum to the governor demanding a probe into the alleged misuse of government machinery to hold the rally. "If BJP is honest then let a probe be conducted by an independent agency which will make it clear that it used public funds to hold an election rally," he said. Denying the allegation, state Parliamentary Affairs Minister Rajendra Rathore accused the Congress of practising the "lowest form of politics" and criticising BJP government's public welfare schemes just for "political ambitions". "Congress should present its report card of 52 years," Rathore said, adding, that the party which failed on all fronts was campaigning against development model of the BJP government. People are wise enough to understand the gimmick and will give an apt reply to the Congress in the upcoming assembly election, he added. The minister said that the Centre and state governments were working for holistic development of people and the Congress was frustrated by Modi drawing large crowds at his public meeting in the state. "People that came large in numbers from different parts of the state patiently heard the prime minister during his address which has left the Congress fuming," the minister said. It is a fact that the country's economy has progressed at a fast pace in last four years. The GDP of India has overtaken France, he added. "Those who looted the country for years are now insulting people who got benefitted from the public welfare schemes run by the BJP government," he said.